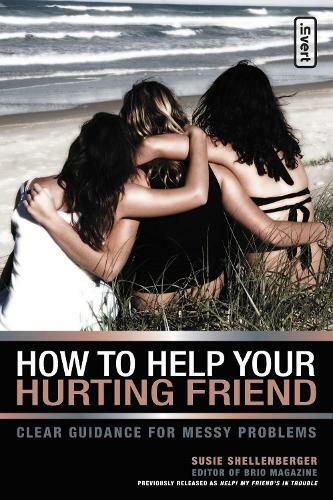 A valuable handbook of practical advice for teenage girls to share with their friends Susie Shellenberger-veteran editor of Focus on the Family's Brio magazine-addresses the most vital, personal, and life-challenging issues in young women's lives so that concerned friends can respond in love and wisdom to their friends who are coping with crises. Presented in handbook form, this biblically-based, relevant, and contemporary-focused book empowers girls to salvage and even save the lives of their troubled peers. No issue is taboo (for example, she addresses self-cutting and sexual abuse) and no advice is ever vague (on the first page, Susie tells her readers that "Jesus Christ is the one who does the empowering!"). This classic book for teenage girls distills the wisdom of the Bible and combines it with the wisdom of many experienced and anointed counselors. Previously published as Help! My Friend Is Hurting, this reissued edition has a dynamic new format complete with sidebars and intriguing illustrations.